I was looking for a new project, something that would be totally different from what I've been working on lately. I can only do one thing for so long before I go completely insane and don't even want to go into my craft room. That's a terrible, horrible place to be. That's when I found a package of binder clips at the dollar store. Then my imagination ran wild. 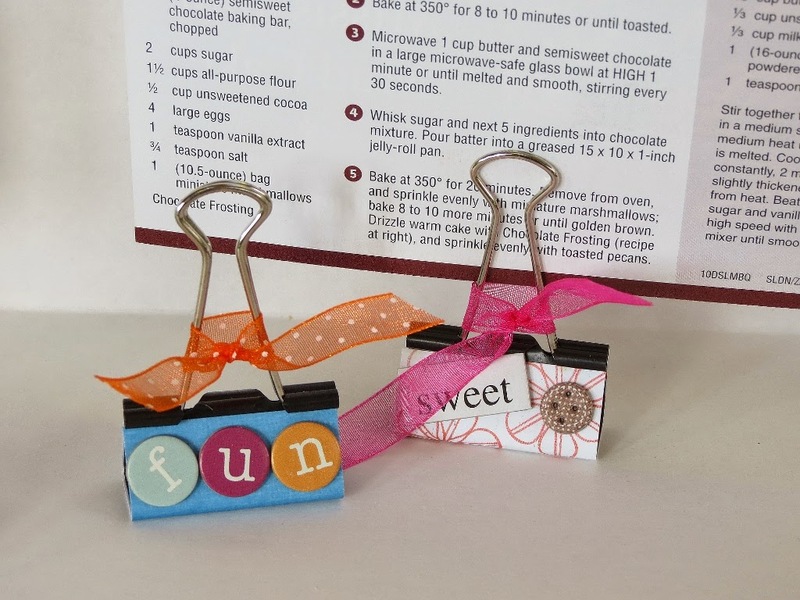 There's so much you can do to decorate a simple binder clip. And when they come eight in a package for a dollar, they're well worth it! To start, I marked off and cut down a piece of notebook paper for a template. Now I can use that rectangle of paper over and over again and not have to measure repeatedly. I'm very lazy that way. Then I gathered up all those little, 3D, miscellaneous embellishments that have been taking up space in my storage shelves. 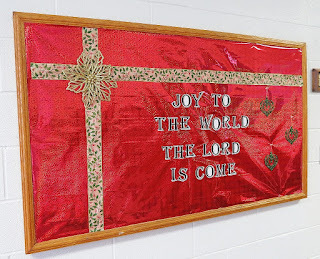 If you've been crafting for any length of time, you know exactly what I mean - the rhinestones, stickers, letters and ribbons that you don't want to throw out, but they don't really match anything. This is the time to pull them out and use them up. Start cutting up some of your great paper scraps and mix and match the embellishments. Tie them up with ribbon and they're all set! 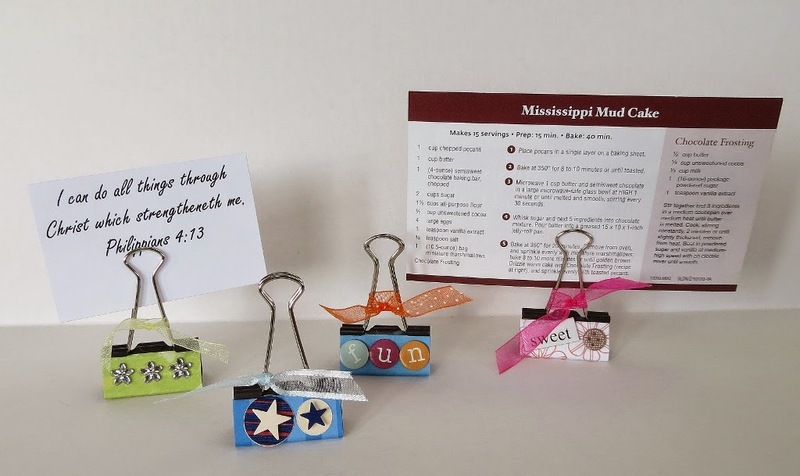 And what can you do with these altered binder clips? 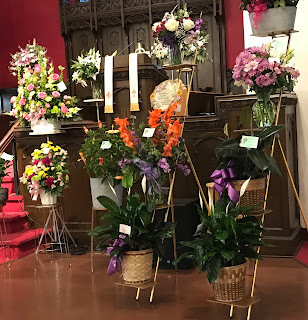 How about holding recipes in the kitchen, photos on your desk at work or Scriptures as a table decoration at a church banquet? 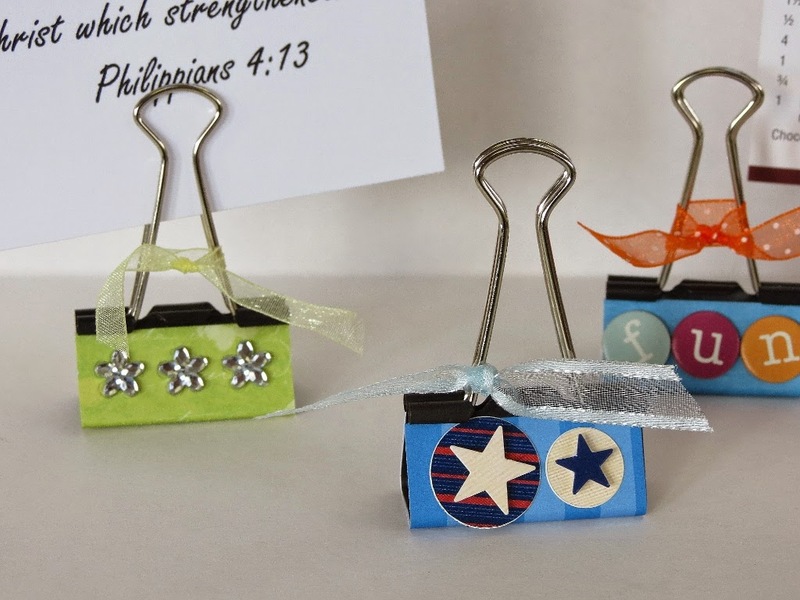 Give them as gifts along with a selection of photos and Bible verses. Or make some for a baby shower or birthday party with photos of the honoree. Have fun choosing from all the possibilities!